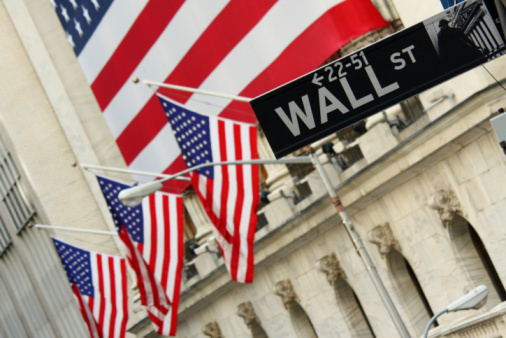 One of the most celebrated events in American business is the initial public offering (IPO). Many see it as a transforming event that ensures a company’s long-term survival, signifies an arrival into the business big leagues and creates wealth – or at least increases liquidity and provides initial investors and founders an opportunity to “cash out” some, or all, of their shares. All of these reasons, and more, have many positive implementations. Currently, in the U.S., there are over 19,000 public companies. So, why would a company actually choose to remain a private company? Believe it or not, there are many good reasons not to go public, and I offer for consideration some real-world insights that may cause one to reconsider, or at least pause to reflect on some of the reasons why “being private” can also be advantageous. Many people question whether or not a private company can actually compete against a public company. We have been doing so for decades. Our company, Cincom Systems, is a privately held software company founded in 1968. We have thousands of customers on six continents and specialize in providing software, services and hosting to simplify the management of complex business processes. Cincom employs over 700 people worldwide and competes with mega-companies like Oracle, SAP and others that are more moderately sized. Throughout Cincom’s 41 years, we have steadfastly remained a private company. We’ve never accepted any form of financing from venture capitalists or other equity investors. Throughout the history of the company, all of our financing has been through cash flow, and when necessary, debt financing through banks. This often hurt us when competing against our well-branded and publicly funded competitors in the industry. But, it helped us to develop innovative, flexible and adaptive ways of thinking along with well-honed and passionately articulated value propositions. We have continued to pioneer software innovation in our rapidly changing business environment, which focuses upon delivering outstanding value and significant competitive advantages for Cincom customers. Surrounded by well-financed competitors, Cincom has an impressive list of “firsts” in the software industry. In 1984, President Ronald Reagan hailed Cincom as “the epitome of the entrepreneurial spirit of American business,” and Cincom was recognized by the Smithsonian Institute as one of “the pioneers and builders” of the software industry. Remaining a private company gives us the freedom to make decisions based on the needs of our clients and interests of our staff, rather than primarily upon the demands of shareholders. It helps us to make business decisions and to create innovation by acting on those decisions which are believed to best serve both the near and the long-term interests of client, staff and the company itself. We are free from excessive regulatory burdens and free to adjust to the changes in the business environment as we see fit. We have the freedom to innovate without a rigid timetable for a return on investment. We have more freedom to think long-term. We have the freedom to build a corporate culture that reflects the leadership of the organization and to make decisions that make sense, rather than decisions that please the analysts on the quarterly conference call. By avoiding public financing, we are freer to control our own destiny. We will never be forced to merge ourselves out of existence or to acquire other companies at excessive prices just to meet revenue or growth expectations like we might at a public company. Because of this we do not face the complexity issues that these mergers and acquisitions create such as disparate product lines; product, process and employee redundancies; integration; employee layoffs; and ultimately, while faced inward trying to cope with these issues, customer service suffers. Private companies are also freer to celebrate and share their successes as they choose. Public companies must share their successes with outsiders, whereas we are able to invest those successes into R&D, better customer service, better jobs for employees and job creation. Furthermore, there isn’t a group of outsiders in place that may be in a position to take over the company and fire the top staff, or even the founder of the company. Another clear advantage of remaining a private company is that it is much easier to create a unique corporate culture. If one values loyalty, a fair balance between work and family, and community involvement, then you are freer – as a private company – to promote and reward these values. At Cincom, we have created a unique, family-oriented atmosphere that encourages openness and a sense of participation in the organization that we call the “Cincommunity.” For this reason, we have attracted an incredibly loyal and committed team, with very low turnover. At the senior-management level, it is not unusual to have decades of tenure with Cincom. Additionally, our customers remain astoundingly loyal because we base our decisions primarily on customer needs, rather than primarily on those of shareholders. Ultimately, what has made Cincom successful is being a customer-driven organization. As a result, we have an extremely high average tenure among our clients, some for more than 30 years. The flexibility and freedom of remaining a private company is fundamentally ingrained into a corporate character, culture and commitment. This redounds to the greater benefit for customers, employees and the communities in which they live and serve all around the world. For over 40 years, we have shown that it is possible to progress nicely and positively as a private company, and we intend to continue to innovate in the software business for decades to come. For now, it is clear that an IPO is a “no-go” for us.